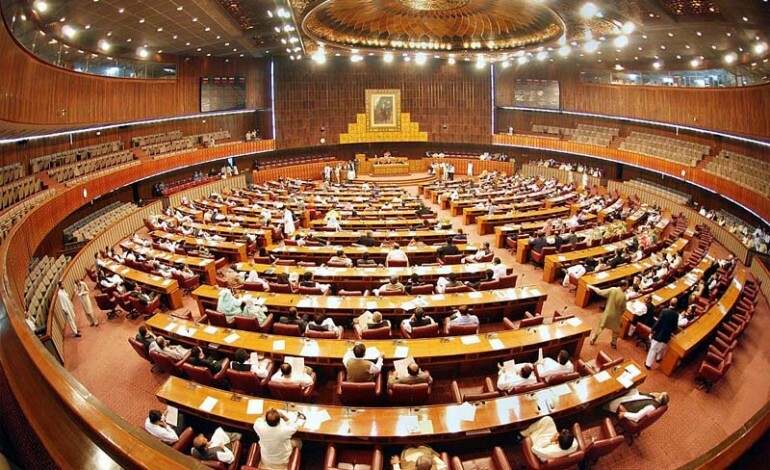 ISLAMABAD: The Senate on Tuesday unanimously passed a resolution strongly condemning recent wave of repression and violence by the Indian security forces in Indian Occupied Kashmir (IOK), including the direct shooting at demonstrators in Pulwama, claiming lives of a number of innocent Kashmiris and injuring many. The resolution moved by Sherry Rehman stated that no journalist, foreign tourists and humanitarian organisations are allowed to enter IOK. It said that the continued atrocities by Indian occupation forces can never suppress the just political struggle of the Kashmiris for their legitimate right of self-determination. The resolution took note of OIC secretary general’s statement expressing strong condemnation of the killing of innocent Kashmiris by Indian forces in IOK. It urged the OIC to call an emergency meeting on the said violations. The resolution called upon the international community to end its indifference and deliberate negligence of systematic repression of Kashmiris by the Indian security forces through disappearances, human shields, state encounters, rapes, the use of live ammunition, illegal searches, seizures and use of pellet guns. It urged the government to implement earlier resolutions passed by the Senate requiring the appointment of special envoys to raise the Kashmir issue at all international forums and to get appointed a special envoy of the United Nations (UN) for the Kashmir dispute. Earlier, speaking on a motion, Minister for Human Rights Dr Shireen Mazari said that it is encouraging that the European Parliament, for the first time, is going to make public the human right violations in IOK. The minister said that the government will also invite UN human rights commissioner to visit IOK to take notice of the rights violations by the Indian security forces in the area. Shireen Mazari said that UNGA has unanimously adopted a resolution moved by Pakistan reaffirming the inviolability of the right to self-determination for all people without exception, including the people of Kashmir and Palestine. She said that it is an important resolution as it has been considered that the struggle for the right to self-determination has become illegitimate after 9/11 which is incorrect. Speaking on the topic, Senators strongly condemned the grave human rights violations and state terrorism continuing against innocent Kashmiris by the Indian forces in IOK. They said that Kashmiris’ struggle for the right to their self-determination is an indigenous movement and Indian troops cannot suppress people voice through violence. They called upon the international community to play its role in ending barbarism in IOK by Indian forces. They also condemned the recent killings of innocent people in Pulwama. Earlier, the Senate resumed its session at the Parliament House in Islamabad on Tuesday afternoon with Deputy Chairman Saleem Mandviwala in the chair.